Scott Olson/Getty ImagesTesla CEO Elon Musk reportedly did not attend the town hall where women described sexual harassment they have experienced in the workplace. Female employees at Tesla took to a company town hall meeting in March to recount instances of sexual harassment and mistreatment from male managers, an event the company says has already led to leadership and policy changes at the electric car maker. The account of the town hall meeting was published by The Guardian’s Sam Levin. In the story, Levin says one employee went so far as to call the factory a “predator zone” of harassment. According to the report, roughly 70 to 100 people attended the meeting. Tesla CEO Elon Musk was not in attendance. The meeting occurred after an email was sent to female employees announcing there would be a “lunch n’ learn” inviting women to discover essential oils. 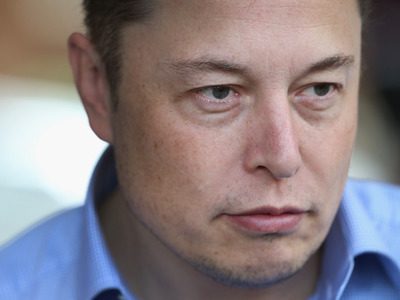 “The termination was based on Ms. Vandermeyden behaving in what the evidence indicates is a fundamentally false and misleading manner, not as a result of retaliation for the lawsuit,” a Tesla spokesperson previously told Business Insider. The lawsuit claims Vandermeyden experienced “unwelcome and pervasive harassment” by men on the factory floor, such as cat calls and inappropriate language. The suit also says Vandermeyden was denied promotions over men who were “equally or less qualified” than her. Women are becoming more vocal about gender discrimination they have experienced in Silicon Valley, which was previously understood to have occurred but rarely exposed in detail. The New York Times published a bombshell report on Friday describing sexual harassment experienced by female entrepreneurs from venture capitalists like Chris Sacca and Dave McClure. Former Uber engineer Susan Fowler said she experienced sexual harassment and gender bias at the ride-hailing company in a personal blog post in February, prompting an internal investigation that culminated in Uber CEO Travis Kalanick’s resignation.